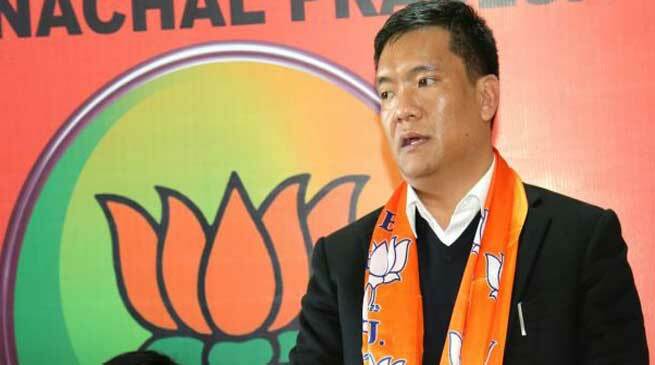 Arunachal Pradesh Chief Minister Pema Khandu would be arriving Agartala on Wednesday to address a rally to be organised by BJP’s Janajati Morcha, according to party sources. This will be his first visit to the Marxist ruled state. With Assembly elections in mind, Janajati Morcha has decided to organise a rally on the occasion of World Indigenous Day. The day is also being observed as Quit India movement. The rally will be attended by indigenous people as decided by the party, said Victor Shome, BJP media cell’s in-charge in a press release. It is not clear yet who else will come from outside the state to address the rally. “Earlier it was decided that around 10,000 Janajati Morcha people will join the rally but now the number may cross even 15000 according reports coming from all over the state ”, he added.